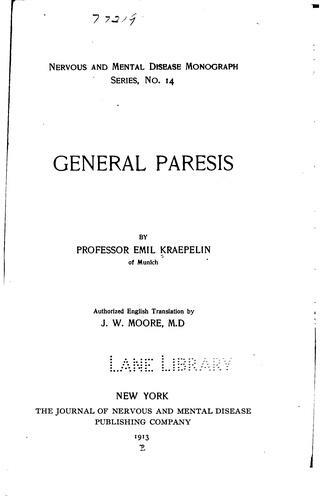 2 editions of General paresis found in the catalog. Add another edition? 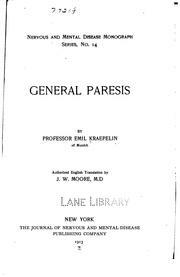 Are you sure you want to remove General paresis from your list? 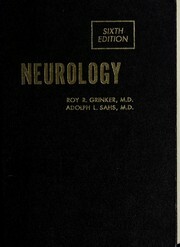 Published 1913 by The Journal of nervous and mental disease publishng company in New York . 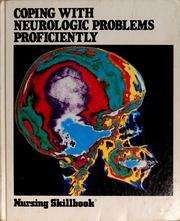 A chapter from the author's "Textbook of psychiatry." cf. Introd. December 1, 2010 Edited by ImportBot Found a matching record from Internet Archive . October 28, 2009 Edited by EdwardBot Found a matching record from Internet Archive .